Ariel Zilber calls to shut down ACUM, says it is no longer fulfilling its role to accept all artists regardless of their political views. Well-known Israeli singer and composer Ariel Zilber received on Monday evening a prize from ACUM (Union of Composers, Writers and Publishers in Israeli Music) for his contribution to Israeli music. Zilber was originally supposed to have received a lifetime achievement award, but ACUM changed its mind at the last moment and chose to change the award under pressure from Dalia Rabin, daughter of murdered Prime Minister Yitzchak Rabin who is a member of ACUM’s board of directors, and who is opposed to Zilber because of his rightwing political stance. The saga surrounding Zilber’s award started last week, when leftist singer Achinoam Nini announced she would not accept a prize from ACUM so long as Zilber was being honored as well. As he got up on stage to accept his prize, Zilber said that ACUM should be shut down and a new union be established that respects anyone, regardless of their political opinion. 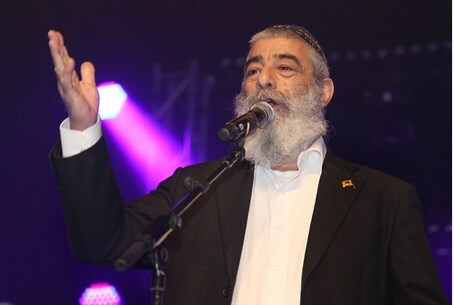 Earlier Monday, Foreign Minister Avigdor Liberman criticized ACUM’s decision to change Zilber’s prize, writing on his Facebook page, "The capitulation of ACUM and the decision to give Ariel Zilber a prize only on his contribution to Israeli music instead of a lifetime achievement award is a dangerous submission and flattery of the Bolshevism of radical leftists." “ACUM’s decision goes against all cultural and creative values, and I suggest that they change it now. I say to the University of Haifa and to ACUM - the shame is on you. It’s an honor not to be honored by you,” added Bennett.